Toya becomes an actress. Toya likes acting. In present time Toya is busy for her acting. Bangladeshi actress Toya is fond of acting. 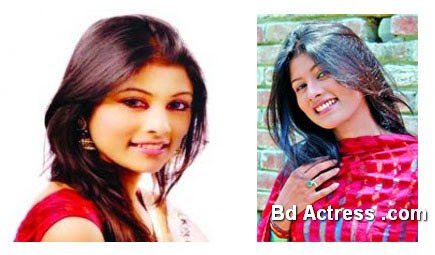 In some days ago Bd actress Toya has completed approximately nine teleplays. However Toya is very busy her Poush Faguner Pala serial drama. This serial telecast by satellite channel ATN. Serial Poush Faguner Pala her character was Juli. Actually that serial was literature base story. On the other side she has completed Amader Sharlock Homes. It was two stories. Toya is very big fan of secret agent. She says it was an interesting story as well as mysterious. She has completed some drama such as Tou Tou Company, Boing Seven Five, Shai Brtatto etc. Bangladeshi model Toya will be performing a dance programmed. She has completed some advertisement. I love acting. Bd model Toya says I want to live with acting. My further plan is being a good actress. I want to be performing cinema but will be good character.